Place the flour mix in a large bowl. Make a hole in the middle and pour the water, the olive oil and the eggs inside. Mix all the ingredients by bringing the flour mix towards the inside. When the dough starts to form, continue to mix with your hands for several minutes until the dough is smooth and stretchy. If the dough sticks to your fingers, add a little bit of flour mix until it does not stick anymore. Then you need a use a pasta machine. Cut the dough in 3 or 4 small parts. Roll the dough with the machine by using the largest opening first n.7. If the dough breaks, knead it in your hands and try again one or two times. Once the dough is rolled, pour some flour mix on both sides of the dough and roll it to opening n.5. If the dough is too sticky, pour a little bit of flour again on both side. If the dough is getting too long, cut it in smaller pieces. Once the dough is nice rolled, you can use the other side of the machine to make tagliatelle or spaghettis. Always remember to flour the pasta so they don’t stick to each other. 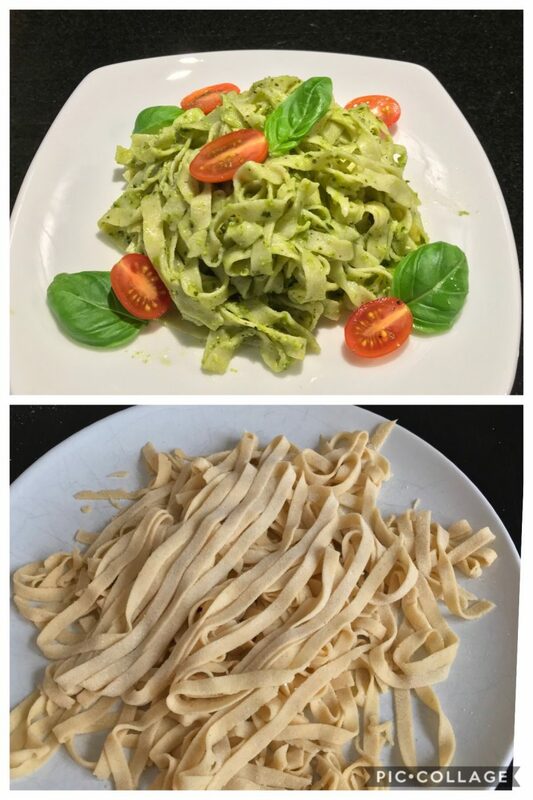 Fresh pasta cook very quickly, 2-3 minutes. If you let them cook too long, they turn into mash. Right after cooking, add tomato or pesto sauce and enjoy immediately! This gluten-free white flour mix is an excellent gluten-free all-purpose flour for all types of baking. 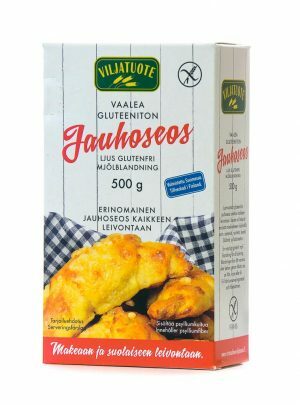 Get started with gluten-free baking by using this flour mix in all recipes as a substitute for wheat flour. Ingredients: White rice flour, wholegrain rice flour, buckwheat flour, corn flour (GMO free), corn grits (GMO free), potato flour and psyllium.